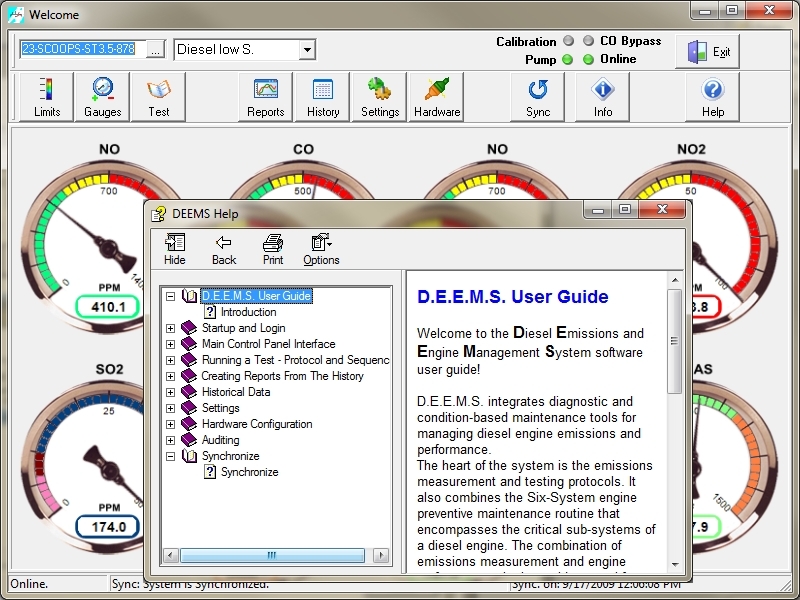 DEEMS integrates diagnostic and condition-based maintenance tools for managing diesel engine emissions and performance. The heart of the system is the emissions measurement and testing protocols. It also combines the “Six-System” engine preventive maintenance routine that encompasses the critical sub-systems of a diesel engine. Training needs are minimal with the user-friendly interface and easy to understand instructions. The combination of emissions measurement and engine performance criteria provides a tool for mechanics to evaluate and diagnose engine performance and problems. It also provides maintenance planners and managers with a tool for using the stored emissions and performance data to chart historical values, generate reports and establish baseline performance targets to compare against actual acquired values. It also provides maintenance planners and managers with a tool for using the stored emissions and performance data to chart historical values, generate reports and establish baseline performance targets to compare against actual acquired values. 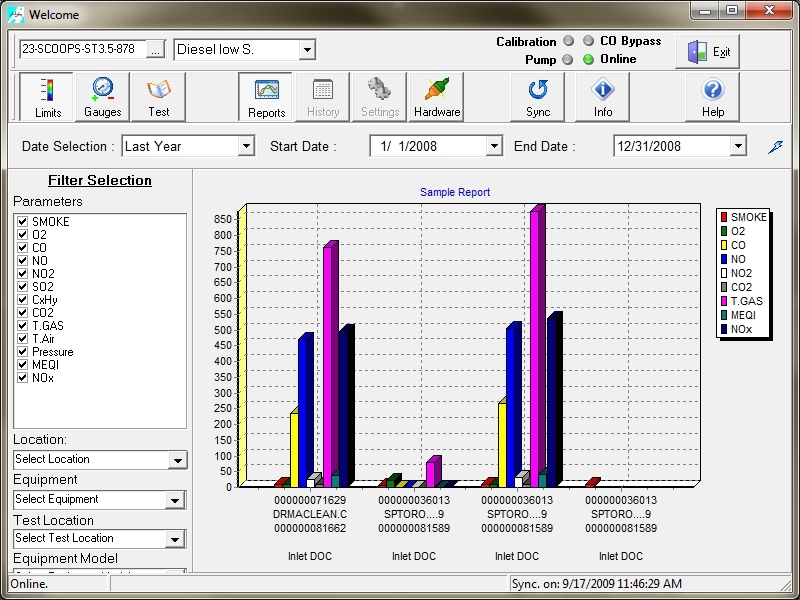 The useful report generator tool tracks your emission history with just a click of a button and lets you create custom reports for a fleet or specific vehicle. Hit the road running with easy to understand instructions that require minimal training. The “Six-System” engine preventive maintenance routine encompasses the critical sub-systems of a diesel engine. Quick Report Generator allows you to view performance analytics right when you need it with great and easy to understand graphics.